How to improve from V20 to V40 in 2-3 months? Need tips for improvement in verbal section of gmat from V20 to V40 in 2-3 months. Originally posted by shikhasingh4 on 04 Apr 2019, 23:53. Last edited by shikhasingh4 on 05 Apr 2019, 01:31, edited 1 time in total. Verbal 20 to 40 is a big leap and not an easy one too. Though, 3 months with 10 to 15 hrs explicitly for Verbal every week is sufficient time. Also, you have all the required sources for concept building. SC : Aristotle guide for SC is the first step but not sufficient. If you are done with this guide, I strongly suggest you to move to MGMAT SC guide. MGMAT SC guide is quite better than Aristotle. Aristotle SC is way to basic to score high. Your accuracy in SC should reach > 90% with 1 minute per SC question, If to score V 40 and above as CR and RC are time consuming affairs. You should try to save as much time as you can in SC. CR : CR bible is the best book, but improvement can only be made by practicing enough. On GMAT club every question comes with self note making option. You can those notes in future. RC : It is all about practice as rarely any guide can help you in this, though you can use below mentioned resources. Also, 2 RCs a day is required minimum. 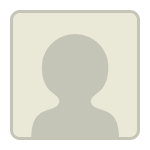 Hi Shikha, do you have a ESR from your earlier attempt that you can share? V20 tells us that all the three sub-sections (SC/CR/RC) need significant improvement. 3 months does look like a reasonable time-frame for preparation. Welcome to GMATCLUB! To improve your scores in verbal, you can consider e-gmat verbal online or the e-gmat verbal live course. They are both amazing courses especially designed for non-natives. They offer almost 25% of their courses for free so you can try out their free trial to decide which one you want to go for. Plus the e-gmat Scholaranium which is included in both the courses is one of the best verbal practice tools in the market. You can easily track your progress in that you can identify your strengths and analyze and improve on your weak areas. 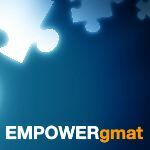 1) How did you score on your first Official GMAT (including the Quant and Verbal Scaled Scores)? 3) Have you used any other study materials besides the books you listed? 4) How have you scored on EACH of your CATs/mocks (including the Quant and Verbal Scaled Scores for EACH)? 5) What is your overall goal score? I’m glad you reached out, and I’m happy to help. Since you are currently scoring a V20, it’s clear that you lackthe fundamental verbal skills you need or a high score, right? Thus, moving forward, you should follow a linear and structured study plan that allows you to individually learn each GMAT verbal topic, starting with the foundations and progressing to more advanced concepts. For example, let’s say you begin studying Critical Reasoning. Your first goal is to master the individual Critical Reasoning topics: Strengthen the Argument, Weaken the Argument, Resolve the Paradox, etc. As you learn each problem type, do focused practice so you can assess how well you understand the topic. If, for example, you incorrectly answer a Weaken the Argument question, ask yourself why. Did you make a careless mistake? Did you not recognize the specific question type? Were you doing too much analysis in your head? Did you skip over a keyword in an answer choice? You must thoroughly analyze your mistakes and seek to turn weaknesses into strengths by focusing on the question types you dread seeing and the questions you take a long time to answer correctly. V20 to V40 is a big jump and is achievable in 3 months. I would suggest you to enroll for egmat and follow their verbal plan.Its very effective.